My name is Shane Jiraiya Cummings and I am not dead. I have, however, been offline for some time, having struggled with illness and other issues. In addition, a considerable slice of my remaining creative juices has been siphoned off into my day job. Many, many things continue to loom over me, so my updating of this journal will be sporadic for some time to come. It seems almost everywhere I look, folks I know are suffering in one form or another – depression, illness, accidents, bad luck. Like most, I’ve had my share of failures in the last couple of months, large and small, but there have been victories, too. The victories are always worth latching onto. Everything else is character building. One of those victories has been my renewed success in other languages. 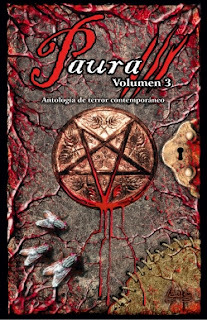 I’m extremely pleased that my story “The Cutting Room” has been accepted for publication by Spanish ‘comtemporary terror’ anthology Paura 4. The first 3 anthologies look frickin’ excellent. Oddly, this story has not yet been sold to an English language market, but it’s one of my best and should find a home soon. Paura 4 is expected to be published in November. I’ve also had “The Garden Shed Pact” to French Canadian horror zine Horrifique. This means “The Garden Shed Pact” is now my most reprinted story, having previously been published in Borderlands #7, Apex Online, and with one more upcoming reprint on the cards (aside from Horrifique). It’s very exciting to know I’ll have my fiction translated into French, Spanish, and (last year) Polish. Speaking of Apex, I’ve learned that Apex Book Company’s Apex Best of 2006 is now available for pre-orders. This neat little antho contains my story “Genesis Six” from Apex Digest #8, plus a whole bunch of excellent dark science fiction. 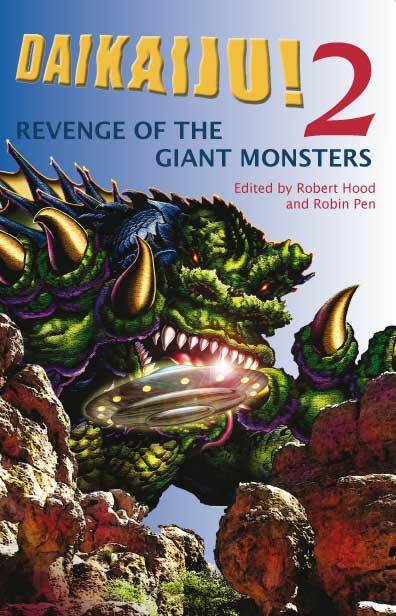 Not to neglect my own backyard, my pulpy adventure novelette “Beneath Southern Waves” will be appearing in Robert Hood’s long-anticipated antho Daikaiju 2: Revenge of the Giant Monster Tales. Rob will launch the book at the NatCon this weekend. My Dread Seasons Quartet of four seasonal stories is wrapping up at Antipodean SF. The fourth installment, “Pallid Wisps of Snow” (first published in Horror Carousel) is on it’s way. My next steps include polishing off an overdue but very cool Cthulhu story and getting through a huge pile of remaining Black Box subs. BB would-be contributors reading this: I’m steadily working through subs from April and May (mostly the latter) but the number of subs caught me by suprise – by my reckoning, close to 400! It’s great to see flash fiction is so popular (this is many more subs than received for Shadow Box).